Fresh Steam Carpet Cleaning is the local leader in Carpet, rug, tile & grout, upholstery, and mattress cleaning and water damage restoration in Fort Lauderdale, Florida. We have provided the very best carpet cleaning services available on the market to home and business owners since 2008. At Fresh Steam Carpet Cleaning our experienced carpet cleaning technicians are dedicated to exceeding our customers’ expectations in everything they do. Our comprehensive list of services and products are committed to providing our customers with the quality they expect and the 100% customer satisfaction they deserve, all at affordable prices. Fresh Steam Carpet Cleaning is experienced in all methods of cleaning and our technicians will follow the manufacturer recommendations to ensure optimum results. Our technicians will utilize a truck mounted hot water extraction method along with specialty cleaning products to ensure the best possible results on your carpets, rugs, tile, upholstery, and mattresses. We provide quality carpet cleaning in San Bernardino, California and Surrounding Areas you can trust! 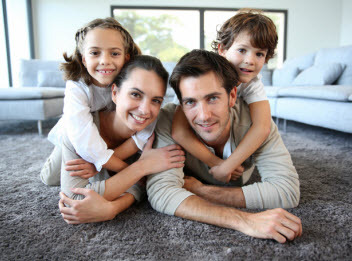 Fresh Steam Carpet Care is the leading carpet cleaning company in San Bernardino, California and the surrounding areas. Over the past seven years, Fresh Steam Carpet Care has maintained a reputation that cannot be touched by the competition. At Fresh Steam Carpet Cleaning, our highly trained and experienced carpet and rug cleaning technicians have the skills to bring your carpets and area rugs back to their former glory. Once our technicians have finished cleaning with our professional deep extraction, truck mounted cleaning equipment your carpets and area rugs will be clean, fresh and restored. 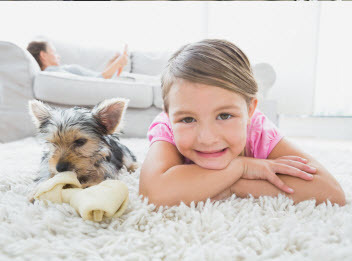 When you combine our premium carpet and rug cleaning services with our upholstery cleaning services, your home will not only look better, we will also be creating a healthier environment for you and your family free of allergy causing dust and dirt. Does your tile & grout look grimy and discolored? The qualified technicians at Fresh Steam Carpet Cleaning will utilize our truck mounted extraction cleaning system to breathe the life back into your tile & grout. Our tile & grout cleaning protocol will loosen dirt, grease and grime as well as sanitize your tiled flooring so it looks and feels like new. At Fresh Steam Carpet Cleaning, our technicians have the expertise to professionally clean your upholstery and mattresses. A professional cleaning will not only make the visual appearance of your furniture more appealing, it will also improve the air quality within your home Our upholstery and mattress cleaning specialists have the equipment and tools at their disposal to remove dirt and grime that has settled on your furniture and mattresses. Our mattress cleaning technicians specialize in the removal of bed bugs and their waste using our hot water extraction method combined with a specialized sanitation process to ensure that you and your family can rest easy at night. When you are faced with a water damage cleanup, you need a water extraction service that moves quickly and has the resources to contain any damage that has occurred and also prevent future damage. 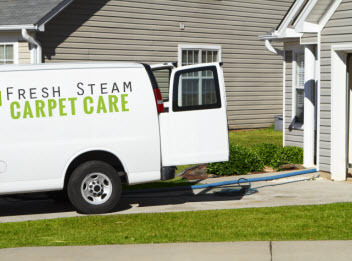 At Fresh Steam Carpet Cleaning, our technicians are fully trained and certified ensuring they can get the job done quickly and effectively to restore your home or business to its original glory.